Hi! 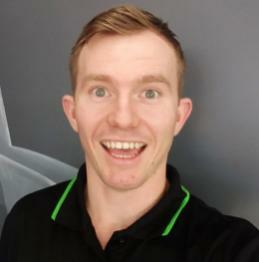 I’m Matt, an Accredited Exercise Physiologist and Health Coach in sunny North Queensland. I am passionate about movement, and assisting others to feel the joy of freedom through improved mobility, health and wellbeing. I have worked in private clinics, and government departments alike to provide lifestyle interventions that improve the health of people just like you! Having worked in chronic disease management, disability support, and rehabilitation settings I have become well versed in providing a fun and engaging lifestyle program to a variety of people. Just who have I helped? I love enabling my clients to achieve their most important goals, whether you have a crippling physical disability, are aiming to return to work or sport, or simply improve your mobility, I want to help YOU! I myself enjoy many physically active past times - Yoga, Pilates, Running, and Calisthenics training predominately. Seeing others return to their passions are as rewarding as following my own passion - helping others. Thank you for taking the time to look over my profile, I am super excited to get started with you soon!